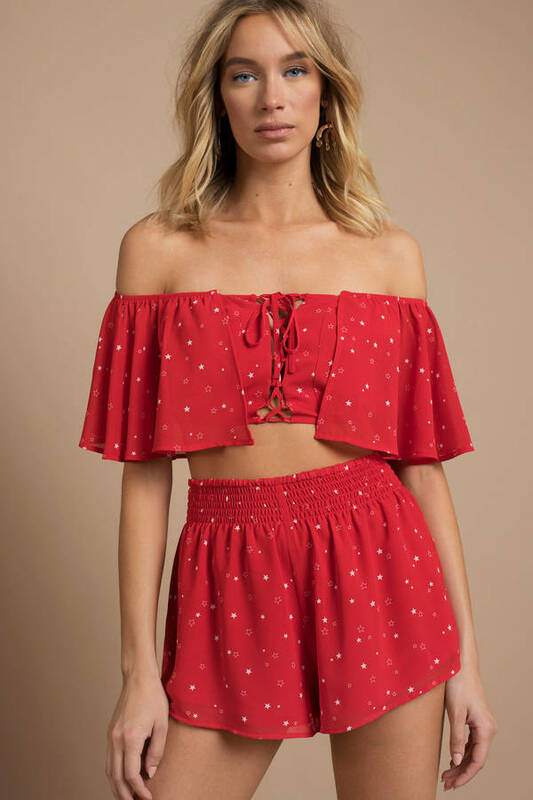 Check out Tobi's Whitney Front Lace Up Crop Top Bring stardust to beach days and BBQs with the Red Multi Whitney Front Lace Up Crop Top. 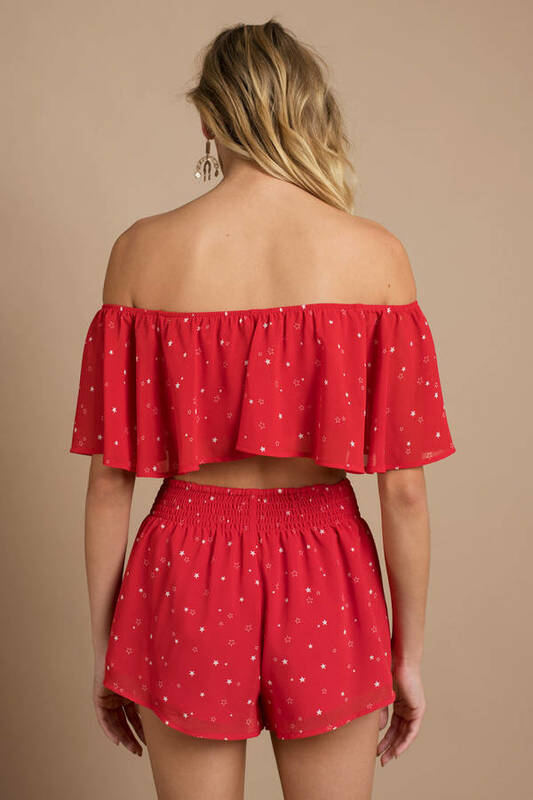 Sprinkled with a small star print, this off shoulder top fastens with lace up ties, with a large ruffle extending around the back. Team this star print shirt with the matching shorts and turn your star power to full beam. Bring stardust to beach days and BBQs with the Red Multi Whitney Front Lace Up Crop Top. 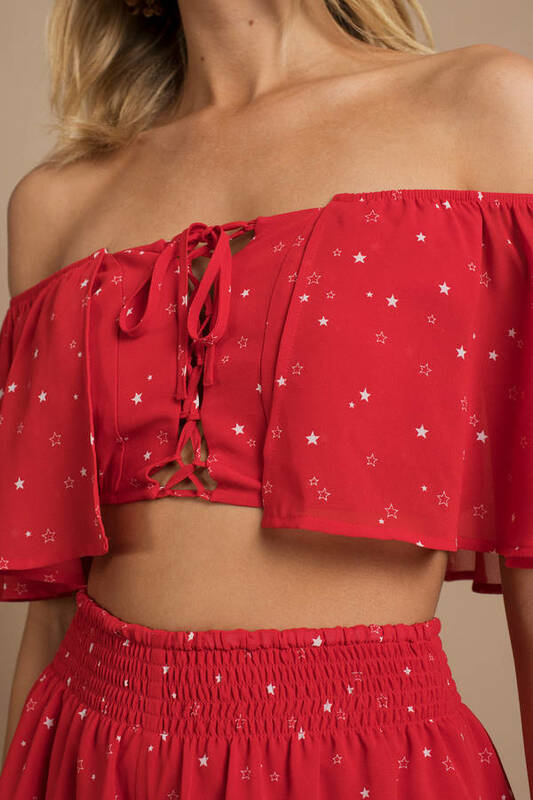 Sprinkled with a small star print, this off shoulder top fastens with lace up ties, with a large ruffle extending around the back. Team this star print shirt with the matching shorts and turn your star power to full beam.